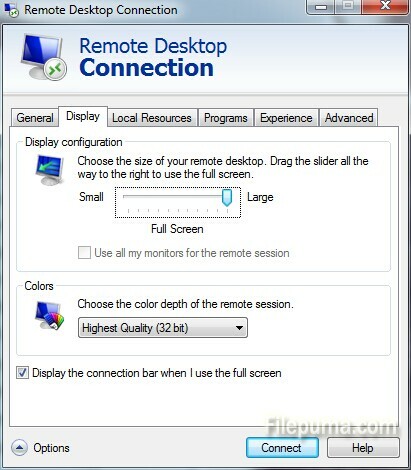 As we all know, we could do some settings about remote desktop connection, like screen resolution. But sometimes we want to set it at full screen. How to solve this problem? Here is the instruction. 3. Click on the “Options” from drop-down menu. 5. 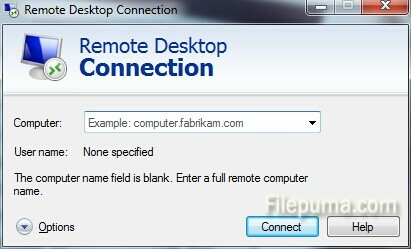 Click “Connect” to connect to the remote computer. 6. Now it is displayed in full-screen mode.